From 1955-1966, on and off, I lived a couple of miles from here at South Milford. 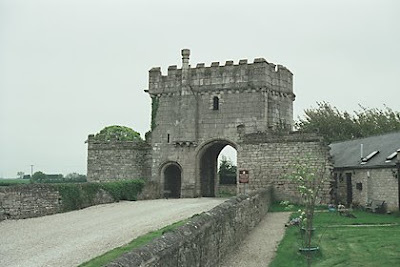 Steeton Hall gateway, South Milford, 14th century. Our farmhouse was situated about 200-300 yards from this Ancient Monument. The village dates back to at least Saxon times. There is a secret passage in Steeton Hall which goes underground for 2 miles to the church in the photo above. 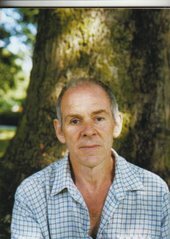 It was whilst I was at Primary School age that I recall asking my so-called foster father, why the small town next door was called Sherburn in Elmet when it was in Yorkshire? He replied that he did not know and suggested I ask the Headmaster. He did not know either. Sometime later when I was in Leeds I popped into the Central Library and conducted some research. King Athelstan ruled all England and the capital of England was on this site. The Kingdom of Elmet was larger than the present day Yorkshire. When all the talk is about devolution and independence, I think back to these times and wonder if those living in the area would be better off if the Kingdom of Elmet was revived? Ginro: Yes. Click on the links to learn more. Or were you questioning the spelling? The spelling, lol. We are talking about the same one though are we? The king that won the battle of brunanburh? Let's not fall out over an "el", gents. I for one found this interesting and a bit nostalgic, truth be told. No, I'm not falling out over it. Just wondering if it was either a king I'd never heard of, an alternative spelling I've never seen before, or mispelling. James, like you I am interested in it and it is nostalgic. There's many would love to know the site of Brunanburh. Get the Time Team onto it. I have updated the post to include the Freemason connection.